SOS Children's Village Byumba has been open since 4 October 1997. 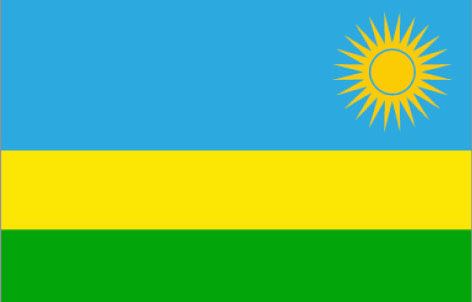 It is in the north of Rwanda, about 7 km outside of the town of the same name and about 60 km north of Kigali. Byumba can be reached relatively easily via the well-built main road; the nearest airport is in the capital city. As SOS Children's Village Byumba, which was not opened officially until 27 April 1999, is located at a relatively high altitude, it is always pleasantly cool. It includes 15 family houses for 150 children, administration buildings, a common room, a village director's house, an aunt's house, workshops as well as a volley ball and basketball court. Since there are no childcare facilities near to the SOS Children's Village and the village school was destroyed during the civil war, an SOS Kindergarten and an SOS Hermann Gmeiner Primary School were added to the Byumba location, which both opened their gates on 13 October 1997. Seventy-five children aged three to six (also those from neighbouring areas) can be cared for in the SOS Kindergarten, in which three group rooms, a multi-purpose hall, a library, a kitchen and an office for the director available for the SOS aunts. 420 pupils (some of whom are from the neighbouring area) are taught in 12 classes at the SOS Hermann Gmeiner Primary School. A staff room is available for the teachers and the library is very popular with the pupils. In just a short space of time, the SOS Children's Village Byumba had become an essential part of its neighbourhood in every respect. It became even more important when an SOS Medical Centre was also opened in February 1999, which has ensured health care for them since then. Around 4,500 people use the small clinic yearly, which in addition to a treatment and a check-up room, contains a laboratory and a dispensary. So as to encourage young people who are reaching adulthood to become even more independent, an SOS Youth Facility was also finally opened for them in September 2001. This project consists of two shared flats for boys and one for girls. A total of 42 young people are encouraged to show their own initiative more and more; only a caregiver looks after them and they have to become increasingly independent. The SOS mother, the village director and psychologists thoroughly prepare the young people for admission to the SOS Youth Community, where they stay for about four years. However, those young people who are still being educated or who are looking for a job can stay longer.